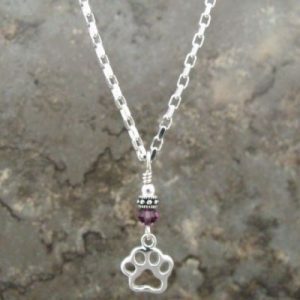 The pendant is lovingly made with a sterling silver round bead atop a lead-free pewter “rococo” style spacer which sits above your birthstone made with an Austrian Crystal. 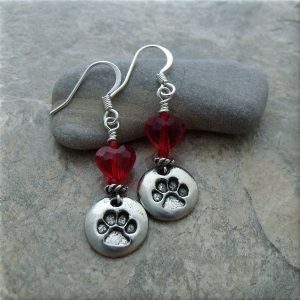 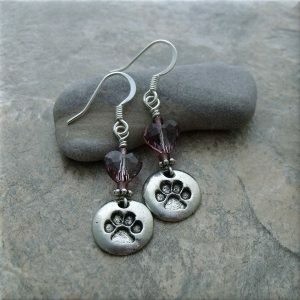 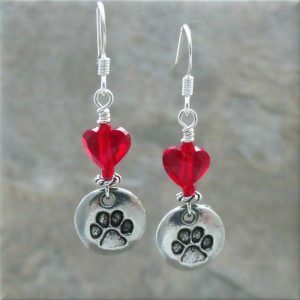 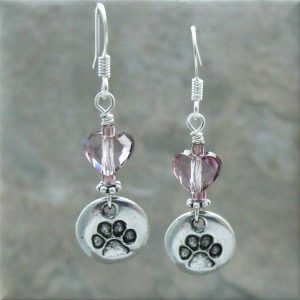 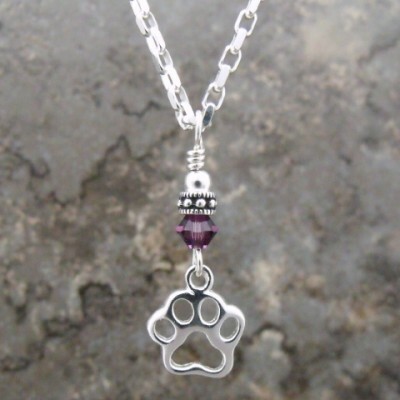 Dangling below is an adorable sterling silver open paw print charm. 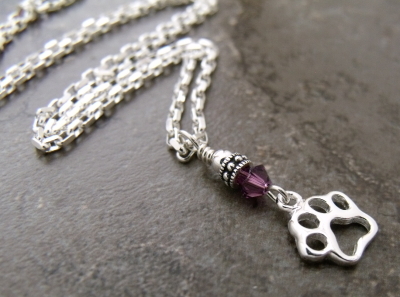 This sterling silver paw print crystal birthstone pendant necklace is for you – the animal lover, dog lover, cat lover and mom! 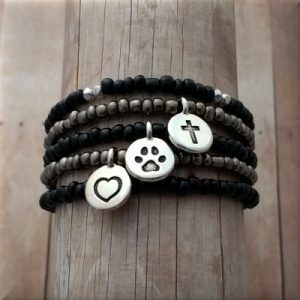 Personalize your paw print necklace by choosing the birthstone of your fur baby or your own from the drop down above. 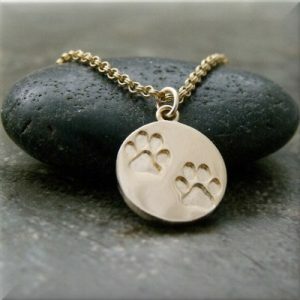 Keep your best friend close to your heart everyday and everywhere. 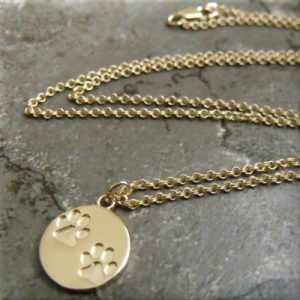 It is such a delicate design. 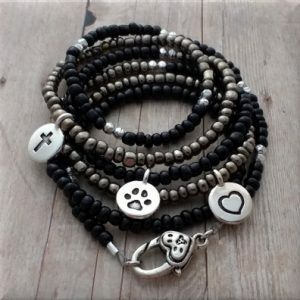 Enjoy it always!